:Disciple-making is a passion of many, as it should be. It is, after all, our great commission. But much of contemporary discipleship is informed by instinct, and as such it is vulnerable to the whims and trends of the broader culture, which can take us further away from our biblical model and mandate. 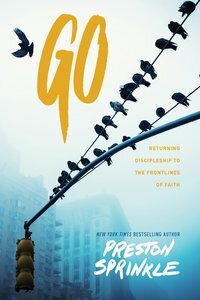 About "Go: Returning Discipleship to the Frontlines of Faith"